Today’s parents want the nursery to blend with other rooms, reflecting a modern aesthetic. Once upon a time, baby’s room had a style all its own. But today’s parents want the nursery to blend with other rooms, reflecting a modern aesthetic. Furniture designers and retailers have responded with lots of interesting options. Jonathan Adler recently launched a collection of nursery furnishings for Fisher-Price. The New York-based designer’s line includes the Fisher-Price Jonathan Adler Deluxe Convertible Crib ($800 at fisher-price.com), featuring Adler’s signature honeycomb motif, as well as Ming-inspired feet capped in polished nickel. Convertibles are a trend, according to Jill Fehrenbacher, founder of the design site Inhabitat and its offspring, Inhabitots. More affordable cribs can be found at Ikea, where trim, contemporary models sell for around $100. Or opt for the Stuva Crib ($199), which is convertible and includes under-crib storage drawers in several colors. 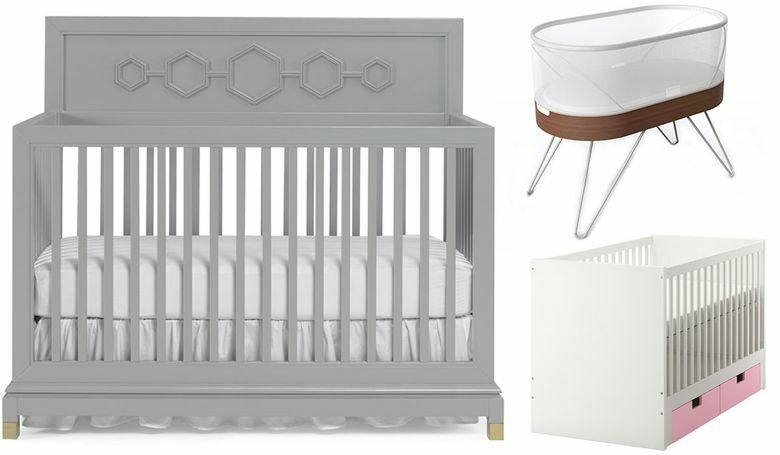 The new Babyletto Bingo Crib ($549 at babyletto.com) is made of sustainable New Zealand pinewood and has midcentury lines, incorporates handy storage cubbies and comes in a right-this-minute white/ash/cool-mint color scheme. It includes a toddler-bed conversion kit. 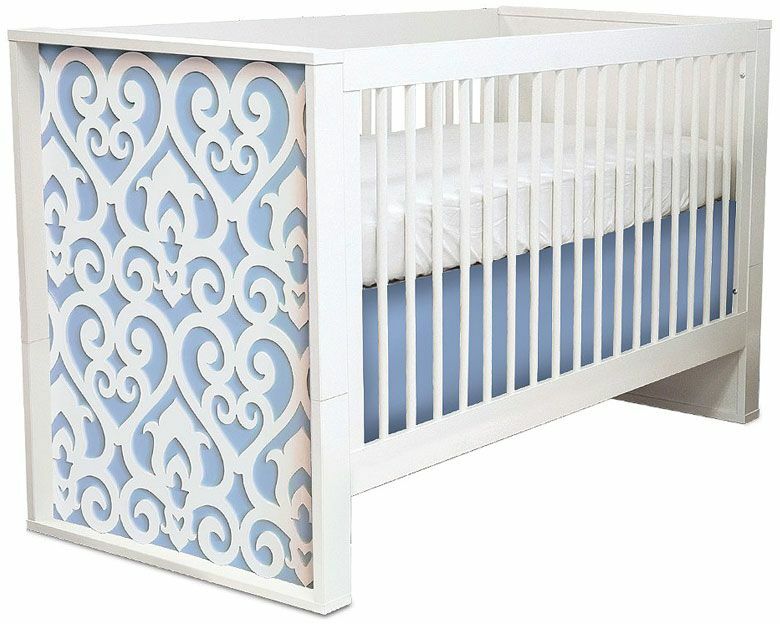 P’kolino’s Belle Convertible Crib ($900 at pkolino.com) has a lattice-patterned headboard that contrasts nicely with a deep gray, shell pink or pale blue base. P’kolino’s website offers customizing, too; you can design your own headboard from an array of images, colors and fonts. If budget’s not an issue, consider the futuristic Ubabub Pod Crib ($2,300 at yliving.com). Curved plywood forms the front and back of the crib, while clear acrylic, laser-cut with tiny stars, makes up the side panels. Nurseryworks is always pushing the envelope on baby furnishings. 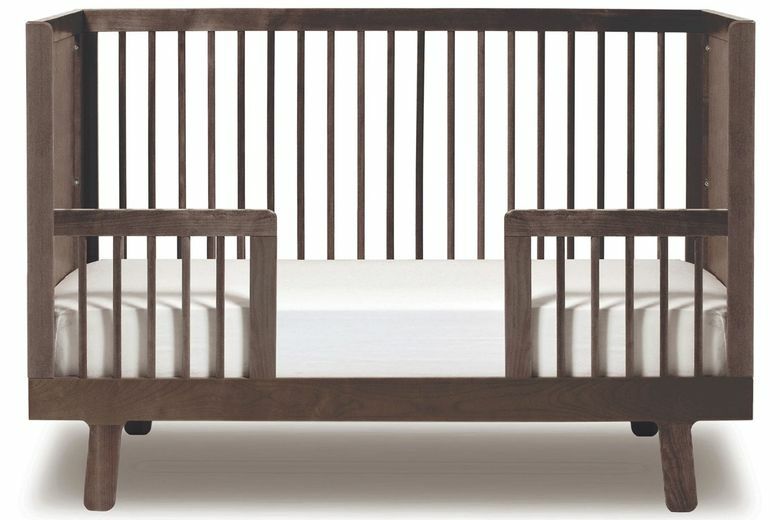 Its Gradient Crib ($7,500 at nurseryworks.net), designed by Matthew Grayson and Eric Lin, has undulating 3-D forms that create an asymmetrical silhouette. “The goal, and challenge to ourselves, is to create something that doesn’t conform to the standard perception of what a crib is supposed to look like,” says Lin. And finally, for the high-tech parent, Swiss designer Yves Behar has introduced the charmingly named Snoo Smart Sleeper ($1,160 at happiestbaby.com). Produced in collaboration with its inventor, pediatrician Dr. Harvey Karp, the sleeper’s smart-technology mattress responds to a baby’s fussiness with soothing motion and white noise. Parents can also control things remotely. A swaddling outfit secures baby inside the bed, which features sturdy white mesh sides in a walnut frame, with white, hairpin-style steel legs.